Shipping direct from New Zealand - The Land of the Long White Cloud. 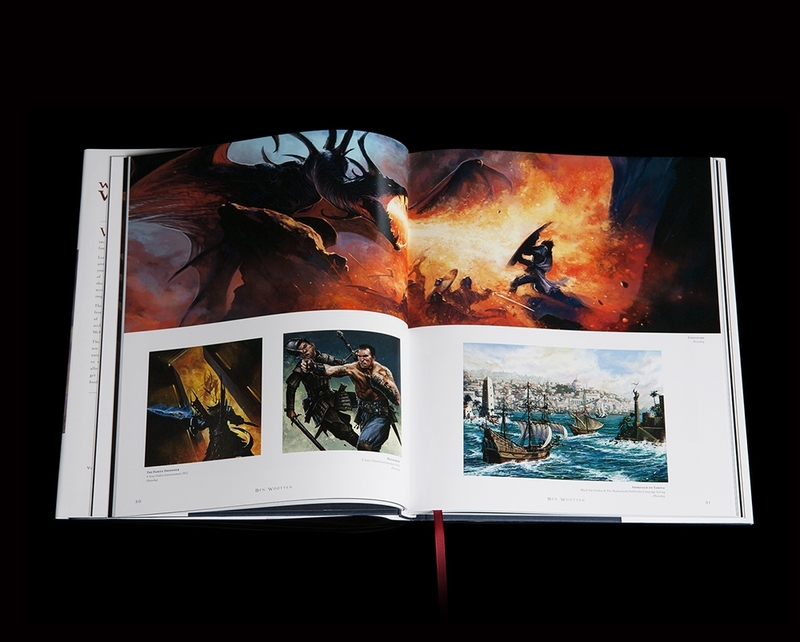 White Cloud Worlds is an award-winning series of art books that showcase stunning science fiction and fantasy artwork from New Zealand. 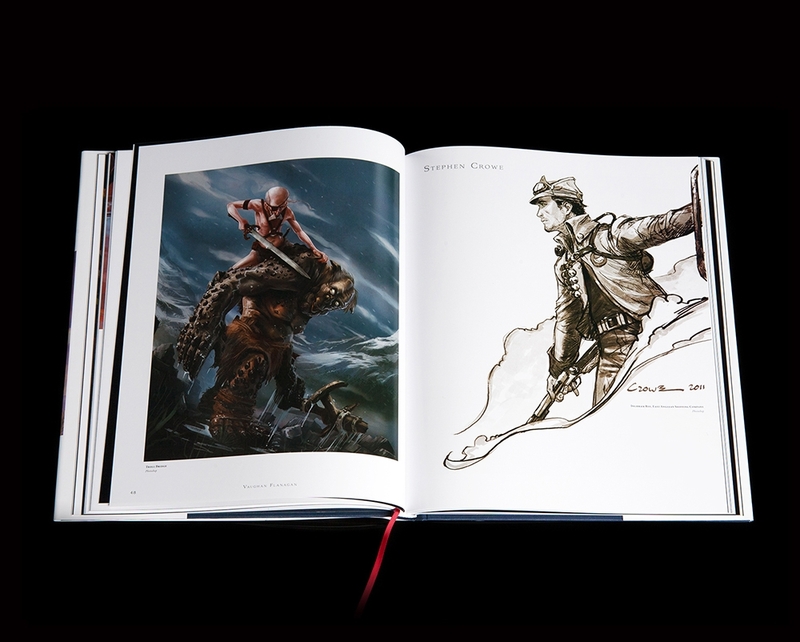 Edited by Weta Workshop Senior Concept Designer Paul Tobin, the work within these pages celebrates not only the skill of the artists but the breadth of their imaginations. 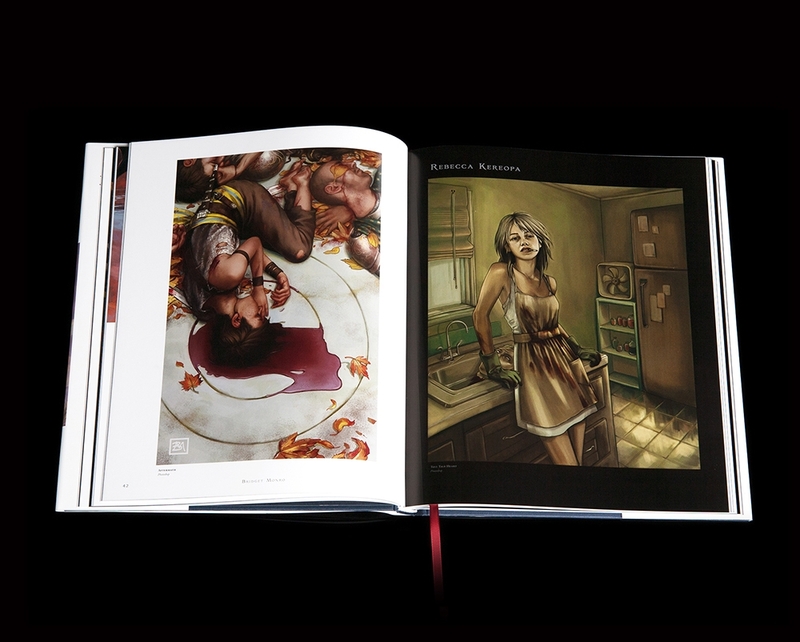 From the beautiful to the bizarre, frightening to fantastical, allow yourself a break from the mundane and get lost in the visually rich creations showcased in these books. You might not want to leave! White Cloud Worlds Volume Two is the second in a series of books that showcase stunning science fiction and fantasy artwork from New Zealand. It is the follow up to the award winning publication of the same name. White Cloud Worlds Volume Two is a visually rich publication that explores the worlds created by 41 New Zealand artists based here and abroad. Each artist is profiled with a selection of their art accompanied by text written in their own unique voice, sharing their origins, inspirations and a rare glimpse into how they work. 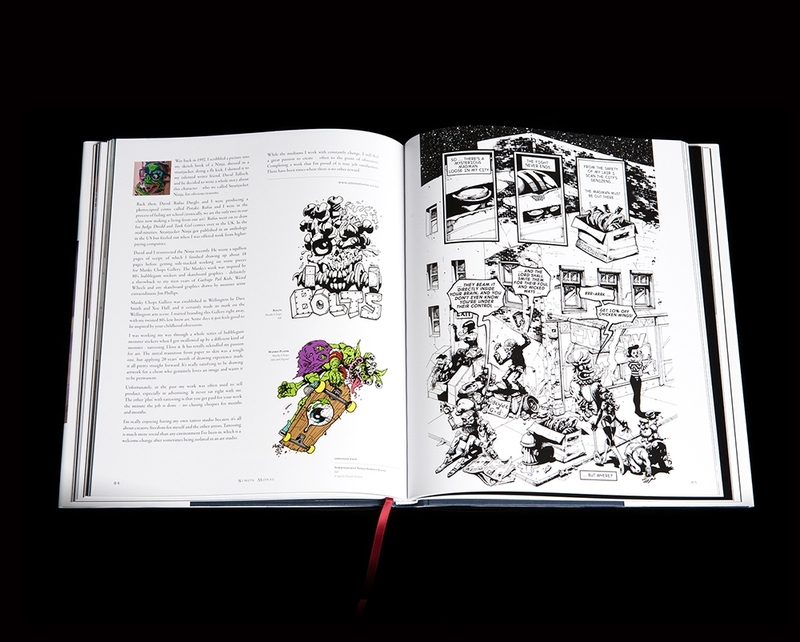 This beautiful hard cover book includes illustration, concept design, 2D and 3D sculptural pieces alongside comic pages and anime characters. 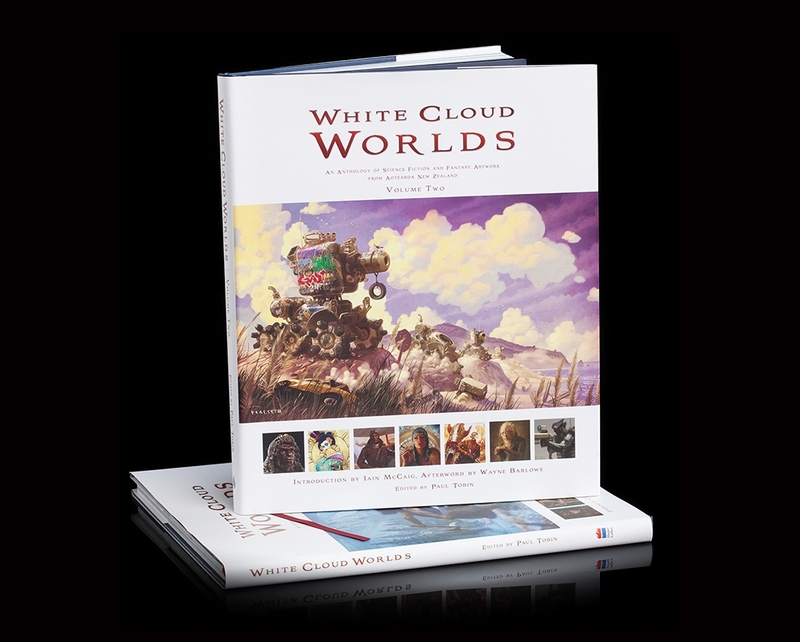 White Cloud Worlds Volume Two contains 148 pages of imagery that challenges and inspires. Ten years ago the spotlight turned to New Zealand science fiction and fantasy artists with the release of The Lord of the Rings trilogy. From this time genre art in New Zealand and overseas has gone from strength to strength and is now based firmly in the mainstream with kiwi artists working with some of the most prestigious movie, gaming and comic names in the business such as Weta Workshop, Valve, Blizzard Entertainment and Marvel Comics. White Cloud Worlds Volume Two shares the work these very same artists do in their own time. The images in volume two of White Cloud Worlds take after their island home. Some of them are generous, witty, welcoming, about as dark as a light bulb. The next page – WHAM! Apocalyptic nightmares clobber you. 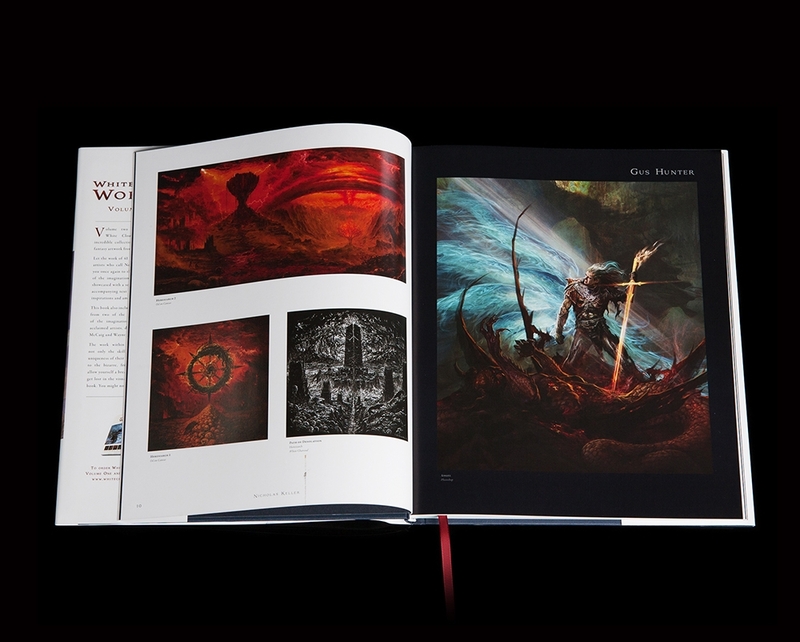 This hardcover book also includes written contributions from two of the world's leading masters of the imagination - acclaimed artists, designers and writers Iain McCaig and Wayne Barlowe. 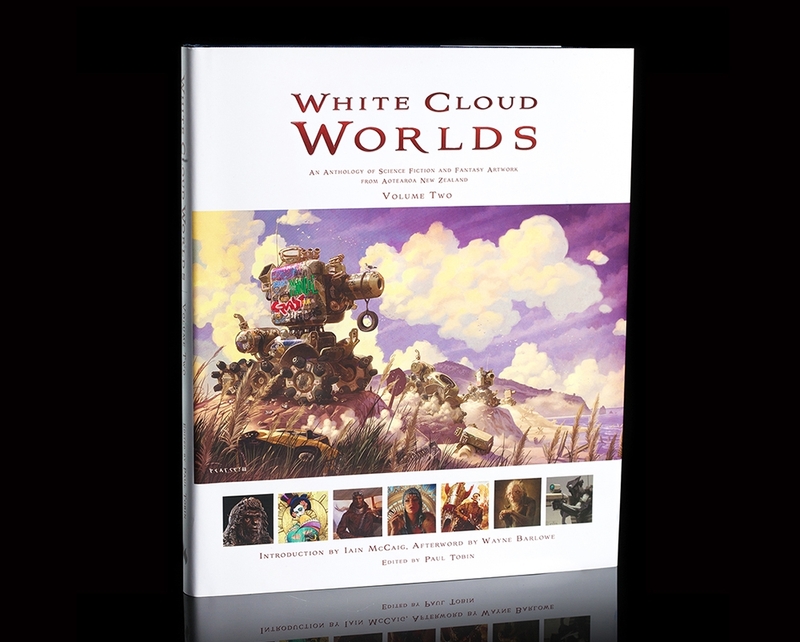 White Cloud Worlds Volume 2 is edited and art directed by Paul Tobin. Paul is the creator of the White Cloud Worlds series and a senior concept designer at Weta Workshop. Weta Workshop Senior Concept Designer Christian Pearce made this cool short film to celebrate the release of White Cloud Worlds in the US! Parental guidance recommended - it gets messy! White Cloud Worlds Volume 2 contains works by the following artists: Aaron Beck, Adam Anderson, Andrew Baker, Andrew Shaw, Ben Mauro, Ben Wootten, Bridget Monro, Christian Pearce, Claire Hackett, Daniel Falconer, Eduardo Peña, Frank Victoria, Garry Buckley, Greg Broadmore, Greg Tozer, Gus Hunter, Jacob Hina, James Ellis, Jamie Beswarick, Jason Hong, Jianran Pan, Leri Greer, Lindsey Crummett, Long Ouyang, Matty Rogers, Nicholas Keller, Paul Tobin, Peter Kelk, Rebecca Kereopa, Sacha Lees, Sanjana Baijnath, Simon Morse, Stefan Messam, Stephen Crowe, Steve Lambert, Stuart Thomas, Tanya Marriott, Tim Gibson, Tom Robinson, Vaughan Flanagan, Warren Mahy. Find out more about White Cloud Worlds, including exhibition updates, at the White Cloud Worlds website.